With the latest law changes in terms of intellectual property, as you know for yourself, it is not cool (and yes, it is punishable by law) to just take someone else’s photos and use them like they are your own. That is why you need to find some free stock photos which you can use without having to worry about breaking the law. We give you the top sites where you can download high-quality royalty free images from! The featured websites are all under the Creative Commons CC0 license, which means you can do anything with the images. 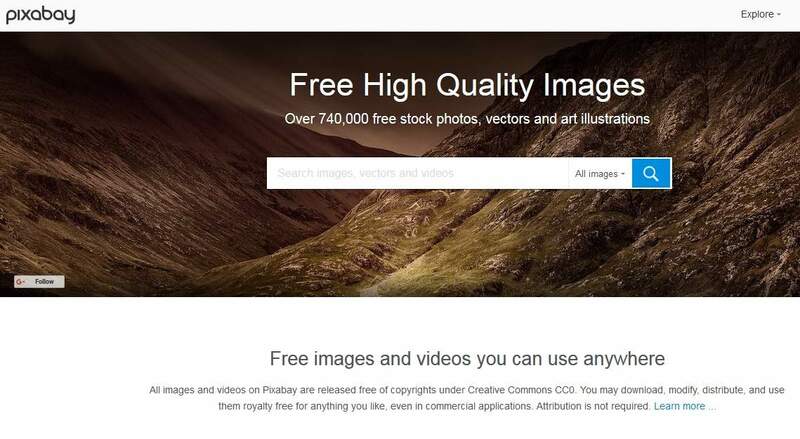 Pixabay is one of the most popular sources of royalty free images for different purposes with over 740,000 free images. On the website, you will get access to many free stock photos for commercial use, and as well as free vectors and free videos. Images provided by Pixabay are completely copyright free, and you can use them even on your social pages.